There’s more to be said in response to the question, “How much does a four-yards-per-carry average matter in a game?” Our overview of this issue got things started, but how do the nation’s FBS teams stack up within the context of their conferences? That’s what we’ll look at in this final installment of our Statistical Summer series at TSS. Below are the league rankings for teams from each of the power five conferences. Where appropriate, we’ll add a few extra notes about each team’s profile since the 2005 college football season. NOTE: Louisville, Syracuse and Pittsburgh are not included, since they spent most or all of the past nine seasons in other conferences. Maryland, though now in the Big Ten, is included. NOTE: TCU and West Virginia are not included, since they were not Big 12 schools for most of the past nine seasons. Missouri and Texas A&M are included, however, despite their current affiliations with the SEC. Nebraska is included here, since it spent six of the past nine seasons in the league, not in its current Big Ten home. The same principle applies to Colorado, though now in the Pac-12. NOTE: Nebraska, Maryland and Rutgers are not included for reasons made plain above. NOTE: Utah and Colorado are not included. NOTE: Missouri and Texas A&M not included. 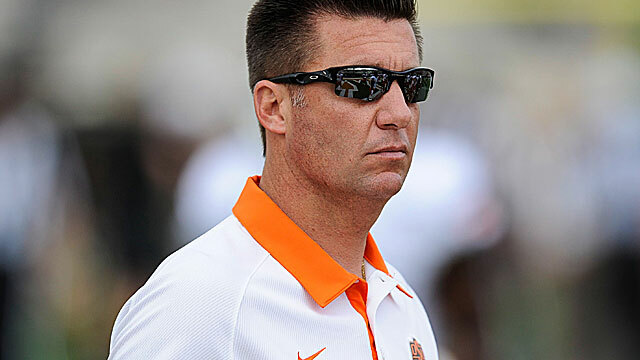 How has Mike Gundy turned around the Oklahoma State program? Many valid answers exist, and naturally, a combination of improvements — not just one in isolation — truly tells the tale. That said, one window into OSU’s success is the program’s ability to average at least four yards per carry on gameday. The Cowboys have played 79 such games since 2005, best in the Big 12. That should get the attention of Texas, Oklahoma, and reigning Big 12 champion Baylor. LSU has lost only four games since 2005 when averaging at least four yards per carry. Alabama has lost only five times since 2005 when averaging at least four yards per carry. Alabama and LSU are the only two teams that have lost fewer than six games while playing a minimum of 50. Virginia Tech and Oklahoma, as mentioned above, are the two teams with exactly six losses when playing a minimum of 50 games. 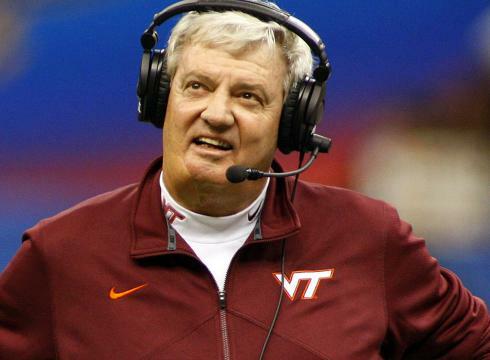 When Frank Beamer’s teams average at least four yards per carry, they very rarely lose. Hitting the four-yard barrier carries a profound degree of significance at Virginia Tech, compared to other power-conference programs across the country. The inability to establish the running game in recent years is precisely why the program has struggled. 12) Duke, .452 — Imagine what this winning percentage was two years ago. This is the best winning percentage for power-conference teams for the number of games played (95) since 2005. LSU is the overall winning percentage leader, but the Tigers played only 74 games. Ohio State does have a slightly higher winning percentage than Oregon (.899, listed above), but the Buckeyes achieved that mark in “only” 89 games, six below Oregon’s total. The SEC placed six teams in the top 25 overall, with Georgia rounding out the list. 9) Tennessee, .638 — Tennessee finishing this far down the list is telling.